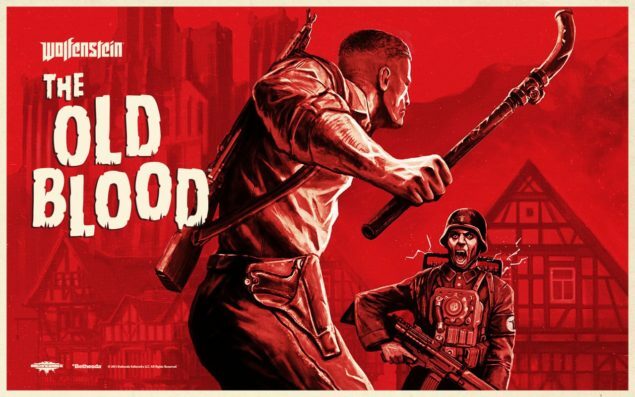 Bethesda has published their archive stream for Wolfenstein: The Old Blood on PlayStation 4. The Old Blood introduces a few new elements, as well as a new bolt-action rifle and the new pipe melee weapon which grants access to new areas. Wolfenstein: The Old Blood is a standalone prequel to last year’s The New Order. Wolfenstein: The Old Blood launches May 5, with pre-loaders getting access to the game at 12:01 AM EDT. It’s coming in at $19.99 with PS+ subscribers do get a 10% discount on The Old Blood, making the price $17.99. The adventure, which spans eight chapters and two interconnected stories, features the hallmarks of Machine Games – thrilling action, immersive story and intense first-person combat. As war hero B.J. Blazkowicz, arm yourself with new weapons such as the bolt-action rifle and grenade-launching Kampfpistole as you attempt to thwart the advancing Nazi war machine, and take advantage of duel-wielding pipes that can be used for wall climbing – or for vicious take-downs of never-before-seen Nazi adversaries. Wolfenstein: The Old Blood launches this Tuesday, May 5, 2015, on PlayStation 4, Xbox One, and PC. Be sure to check out our previous coverage for the game here and here.